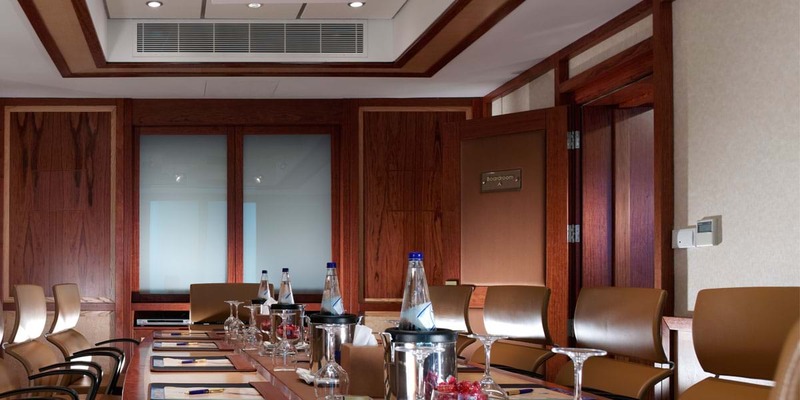 The Chairman’s Suite, consists of two separate Boardrooms (A & B) interconnecting to a reception secretarial area. Boardroom A has a capacity of 12 persons. Boardroom B has a capacity of 10 persons.